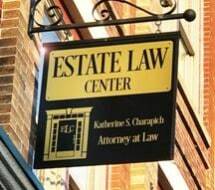 Estate Law Center, PLLC is located in the heart of Culpeper and provides a full range of estate planning and elder law services for individuals and families, as well as business and contract law throughout Central and Northern Virginia. Attorney Katherine Charapich worked in private business for more than 20 years before turning her career to law and opening her practice in Culpeper. Today, she is recognized for her honest commitment to helping people through the complex issues of estate preservation, asset succession and elder law protections. • Estate Planning Law: Wills and Trusts, Powers of Attorney, Advance Medical Directives: Every solid estate planning strategy begins with making sure your assets are protected and used for your well-being during your lifetime, and passed on to your loved ones according to your last wishes. Attorney Charapich will take the time to listen to your needs and concerns about your estate - protecting you and your needs and making sure your loved ones are protected from excessive inheritance taxes and probate litigation. • Elder Law: Ms. Charapich’s Elder Law services include making sure your loved one's wishes are followed by family members as the end of life approaches. • Business Law; As a business contract attorney, Ms. Charapich is dedicated to fully grasping your objectives and helping you make sound legal decisions through: selecting the right entity for your new business, handling government filings and other aspects of your business formation, writing and negotiating contracts and leases, and assessing allegations of a breach of contract and determining the best course of action. Clients find Katherine S. Charapich friendly, highly professional and dedicated to helping them meet their goals. She works with clients at all stages of life and of all sizes of estates. She practices with integrity, beginning with a strong commitment to the ethical standards that serve as the foundation of her faith. As an attorney at the Estate Law Center, PLLC, Attorney Katherine S. Charapich addresses some of the important questions asked by clients over the years. As an attorney at the Estate Law Center, PLLC, Attorney Katherine S. Charapich addresses when your loved one passes away, and you have been named as executor or executrix, what do I do now? As an attorney at the Estate Law Center, PLLC, Attorney Katherine S. Charapich addresses the use of wills, trusts, and other documents as essential components of estate planning for a senior adult. As an attorney at the Estate Law Center, PLLC, Attorney Katherine S. Charapich addresses writing, analyzing and negotiating important business contracts, including commercial leases, and a range of other agreements. As an attorney at the Estate Law Center, PLLC, Attorney Katherine S. Charapich addresses how the complex and evolving laws for many senior citizens go well beyond the need for basic estate planning.